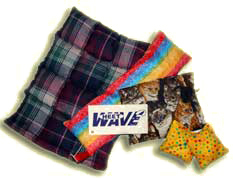 Heet Wave therapeutic hot and cold packs are manufactured out of flannel, in a variety of patterns: plaid, floral, and what we like to call "whimsical". Whimsical may be animals, free form designs, many designs that do not fall into the categories of plaid or floral. You can also choose designs based on your favorite color. 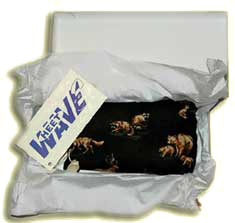 All Heet Waves come gift boxed, with instructions and suggestions for hot and cold use. Heet Waves may be ordered by phone or mail. An order form is available for download by clicking here. 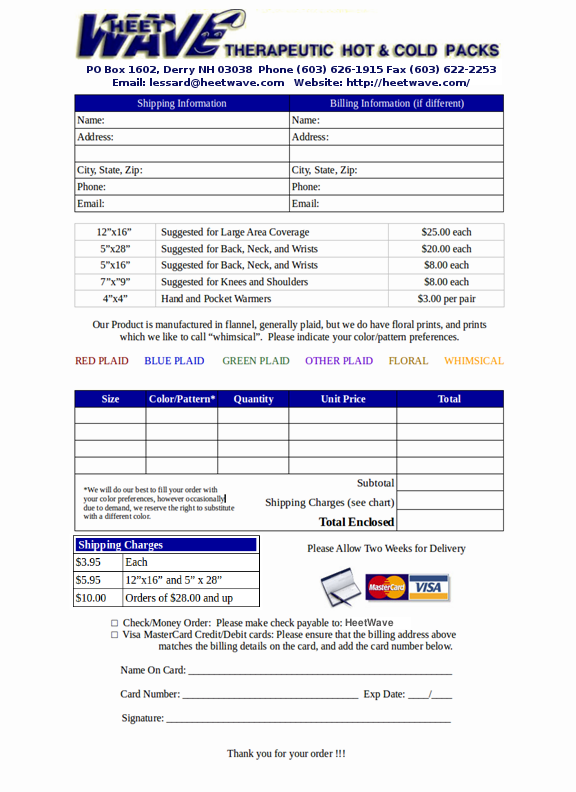 Simply print a copy of the order form and mail it to the address provided on the form. If you need Adobe Reader to view and print this form, click the Adobe Reader Download below. in the State of New Hampshire.